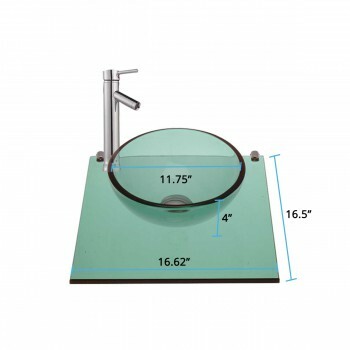 Mystic Plateau: Miniature wall mount tempered glass vessel sink. Small and space saving mini sink. Accepts single hole faucet not included--checkRenovator's Supply's huge selection. Counter 16 5/8 in. wide x 16 1/2 in. proj. Bowl 11 3/4 in. in dia. x 4 in. deep.